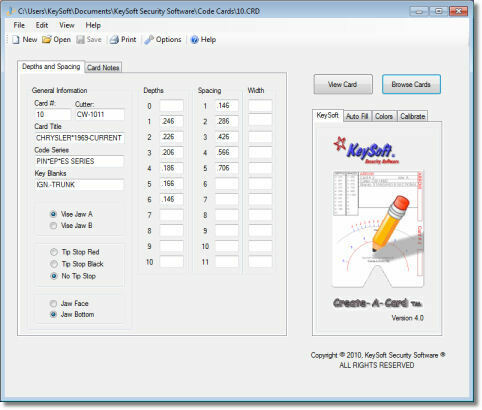 Enter Depth and Space information fast and easy with this Auto Fill feature. This window is divided into two parts, the top Depths and the lower Spaces. 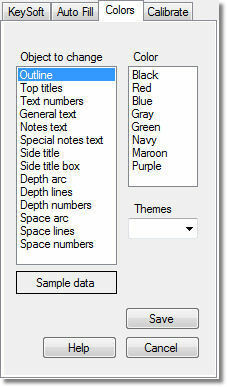 1: Enter the first and second depths in the text boxes provided under Depths. 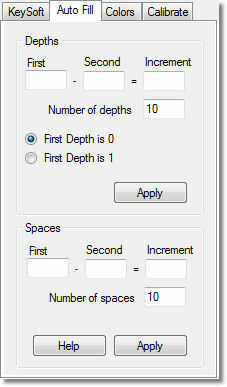 2: Enter the number of depths you would like to generate. 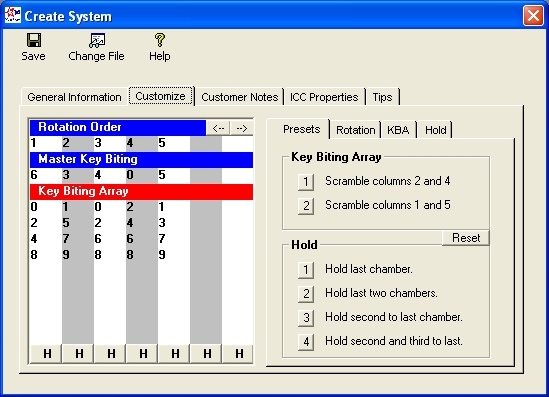 1: Enter the first and second spaces in the text boxes provided under Spaces. 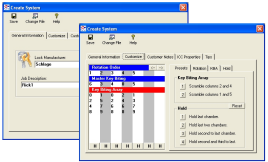 2: Enter the number of spaces you would like to generate. 3: Then Click the Apply button. Notice the Browse Cards window is open (to the right of the card shown). You can view all the information in each card as you scroll through the Card List, in both Input and View mode. 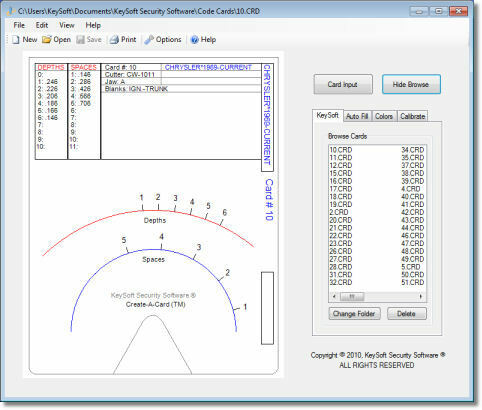 The Colors window lets you change several of the objects drawn on your cards, things like lines, arcs, numbers, text etc. You'll be able to view your card as you make these changes giving you a real-time view.